Do you want a low-stress, high-energy way to bond with your dog, broaden your skills, and amaze your family and friends? Not only is Tricks Training a confidence-boosting activity you can do almost anywhere anytime, it builds the foundation for obedience, agility, freestyle, and more. Join us and fall in love with your dog all over again! For dogs from eight weeks to eighteen years. This course based on the acclaimed Kyra Sundance's Do-More-With-Your-Dog curriculum. 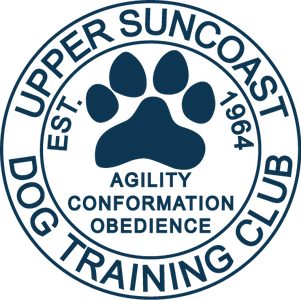 Dog/Handler teams that successfully complete this class may qualify for their Novice Trick Dog (NTD) title. AKC Trick Dog Title processing starts May 1, 2017 for information go to www.akc.org/trick-dog. Requirements: Basic Obedience or Puppy Class. Dogs should be able to Sit, Down and Stay on command.